I've been waiting for a file manager since I got my Wiz, can't get this to work though, just returns me to the launch screen. Thanks for the efforts. If someone else failed to run Navigator, please report HERE for now. So can I get this working or not? My Wiz has firmware 1.1.0 - do I need to copy some extra files, and if so where? sorry - I mean where can I get the files needed. TitanUranus: Let's investigate your problem. 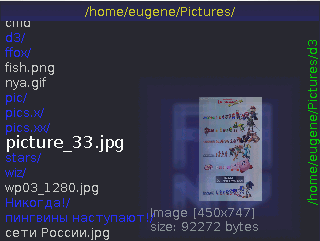 Here is "debug edition" of Navigator: https://gbx.ru/index.php?act=Attach&type=post&id=18092 Download it, install, run findproblem.gpe with Launcher, run Navigator itself and then send me files from log/ folder. for my contacts and more details see README. Good to see you're still developing this EugeneP. Thanks, this is very useful. not work.Firmware 1.2.1 with installed win2x.Before installation win2x it works, after,no, even i uninstall win2x. rorque: Did you launched win2x installation from fxfnav ? no, from original frontend.I just test fxfnav before and see how it work`s.After that close app and install win2x.It was directly after firmware upgrade. rorque: Your bug is confirmed. I'll make workaround in a few days. Easiest way to fix issue is to flash firmware again after uninstalling Win2x.